These water pumps are designed to be used out of the water. All pumps in this category are electric. They require inlet and outlet pipe and require priming initially. 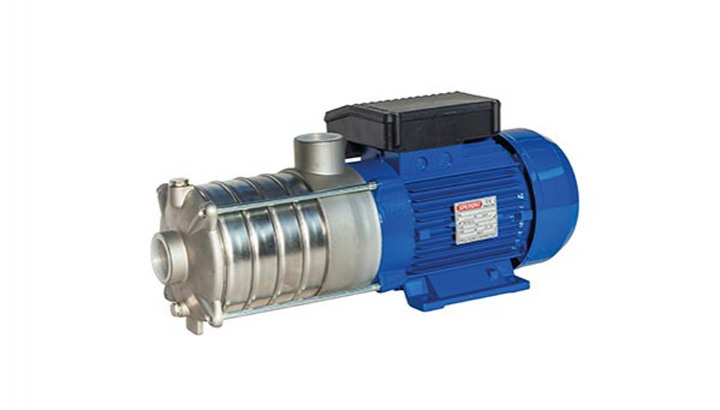 RSXM10 are non self-priming, multi-stage, horizontal centrifugal pumps. They can develop high pressures and lifts from comparatively small motors and operate virtually silent, hence they are suitable for many domestic, industrial and horticultural applications. They are designed for pumping clean water only up to a maximum of 35ºC.